newsR > News Videos > Albright Knox Art Gallery – Humble and Human Exhibit in Honor of Ralph C. Wilson, Jr.
Did you know that Ralph C.
Wilson, Jr. was an art lover? Some of his favorite impressionist pieces are now on display at the Albright Knox Art Gallery. 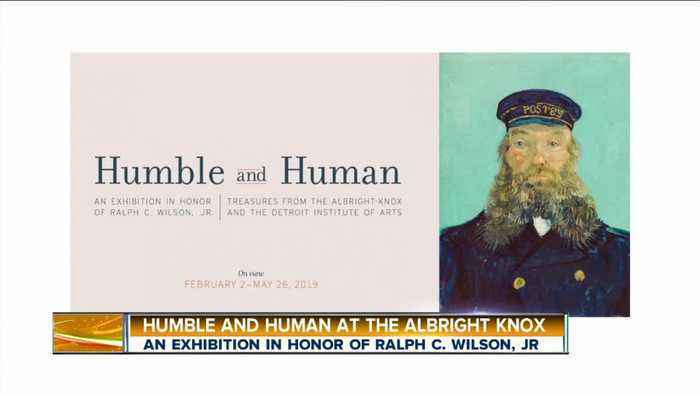 You can see the Humble and Human Exhibit in Honor of Ralph C.
Wilson, Jr.at the Albright Knox Art Gallery now through May 26th. The Albright-Knox Art Gallery says it&apos;s making a major announcement Thursday. The Albright-Knox Art Gallery says it's making a major announcement Thursday.